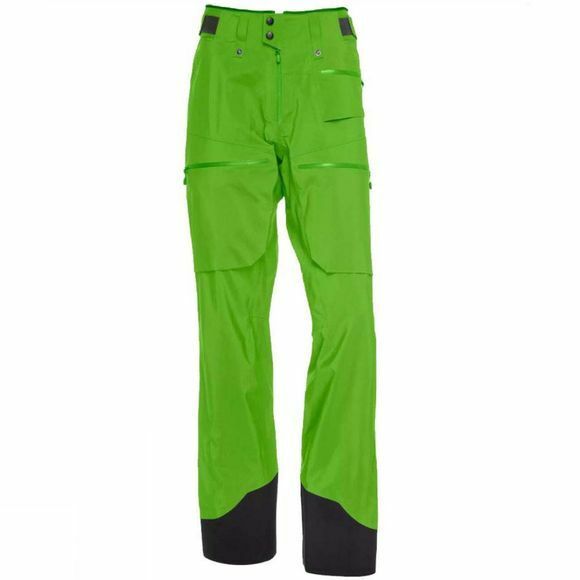 With the intention of being a game changer to new generation of skiers, the lofoten Gore-Tex Pro Pants were made uncompromisingly to fulfill the big mountain freeriders need for protection from the most demanding conditions out there. Just like the original, the new pants have a looser fit and unique features such as thigh cargo pockets to ensure easy storing, long zippers for great ventilation and extremely durable reinforcement on the lower leg to protect the pants from steel edges. The bright colors introduced in the original line have been modernized and more tonal but are still bright enough to ensure secure visibility. The pants come with a removable bib which prevents the snow from creeping in and keeps your pants in place.